In Drama, we enable our pupils to build skills and knowledge and understanding at Third/Fourth Level. Activities may include devising, improvisation, role-play, mime, dance/drama, script work, lighting, sound, costume, make-up, props, stage management, directing and evaluating. These activities are delivered in some thematic units which concentrate on characterisation and theatre arts. Some of these pieces of work will be presented to a target audience. The course is mainly practical; however, pupils will also keep a folio of written assessments and evaluations. 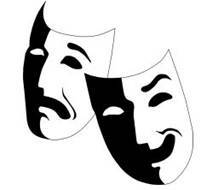 A variety of learning and teaching methodologies are employed in Drama. Whole-class teaching will be used for sharing of information and exploring a dramatic situation and there is a large focus on group work. Individual learning and research will also be undertaken in practical activities. Evaluation is an integral part of the course, including a high level of self-evaluation; plus evaluating and commenting on the work of others. Formalised homework will be set as appropriate with other homework activities including learning scripts and developing characters. Assessment is on-going in Drama, with a wide variety of evidence gathered. In the Senior Phase at all levels we continue to build on pupils’ prior learning and experiences in Drama skills and theatre arts/production. All courses provide more scope for personalisation and choice, expression and skills development. For each specific course/level of information, please click on the relevant link below for course details. This is also available in the Parent/Carer information section of this website. We continue to use the methodologies from the BGE but with more emphasis on independent learning and group work. This leads to more successful learners. Pupils are also expected to evaluate to a much higher degree. At all levels, courses and units are internally assessed within the Drama department, subject to SQA verification and quality assurance. There is a final examination and performance to a Visiting Assessor from National 5 to Advanced Higher with an external question paper also. In Music, we enable our pupils to build a variety of performing, composition and listening skills at Third/Fourth Level. Pupils will have the opportunity to be creative; develop their vocal and instrumental skills; explore sounds and create musical compositions; listen to and understand a range of musical concepts, and use ICT to enhance their overall skills, understanding and enjoyment. Pupils are taught the skills of performing, composing and listening in many different ways. Whole-class teaching and individual practice/skills development enables our pupils to progress further on their chosen instrument(s). The use of ICT and music specific software enhances our pupils’ musical understanding and literacy whilst composing in a variety of styles. Informal on-going assessment by the class teacher is used regularly in Music across the three main activities mentioned above, with more formal assessment periodically throughout the year. Peer assessment can be used as appropriate, and individual pupil target-setting is also a strong feature within the department. Participation and presentation methods are developed with a view to ensuring our pupils become effective contributors and confident individuals within Music. In the Senior Phase at all levels we continue to build on pupils’ prior learning and experiences in composing, understanding and performing music. All courses provide more scope for personalisation and choice, expression and skills development. Pupils will also develop their understanding of musical literacy and add depth to their learning, raising their social and cultural awareness of music. We continue to use the methodologies from the BGE but with more emphasis on pupil autonomy and independent learning. This leads to more successful learners. Homework continues to be an important part of the Music course, and pupils are expected to revise concepts and practice their instruments in more detail at home and on a more regular basis, to enhance their knowledge, skills and understanding. Individual assessment will be on-going throughout each course. At all levels, courses and units are internally assessed within the Music department, subject to SQA verification and quality assurance. There is a final examination and performance to a Visiting Assessor from National 5 to Advanced Higher with an external question paper also. 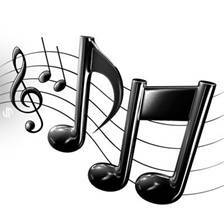 Online revision for National Qualifications in Music can be found on the NQMusic website here.